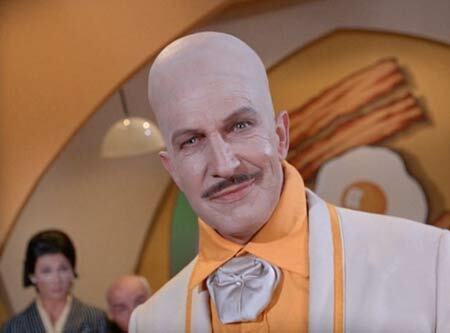 Vincent Price makes his Bat-debut as Egghead! Price is generally associated with the horror genre, although he could also be considered a camp icon. And so could someone else in this arc! Is the character of Chief Screaming Chicken satire or racism? Well… yes. Also, a window cameo by Jose Jimenez. Who? We explore this and several other cameos and familiar faces (or voices) in this arc, with detours through Get Smart, The Brady Bunch, F Troop and more! Holy intertextuality!